As I sit here on the 18th day of March the weather is starting to improve. Of course, improvement at this point means 40 degrees. This is the time of year I get a little stir crazy. It doesn’t take much to get me antsy. We had a great winter this year on the ice. Not saying we caught a lot of fish, but we spent a good amount of time on the ice and enjoying great friendship. I mean that is what it is all about. 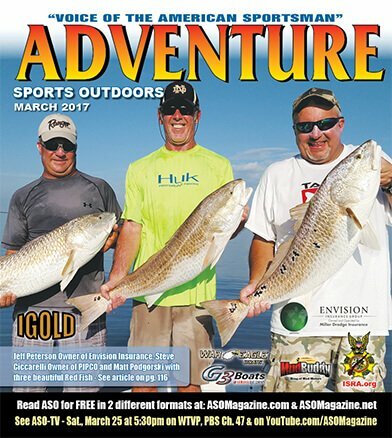 I love to fish but it is much more fun when you get to experience it with others. Now that the ice is gone its time to start thinking about spring activities. The first thing I look forward to is getting out in the woods and searching for sheds. 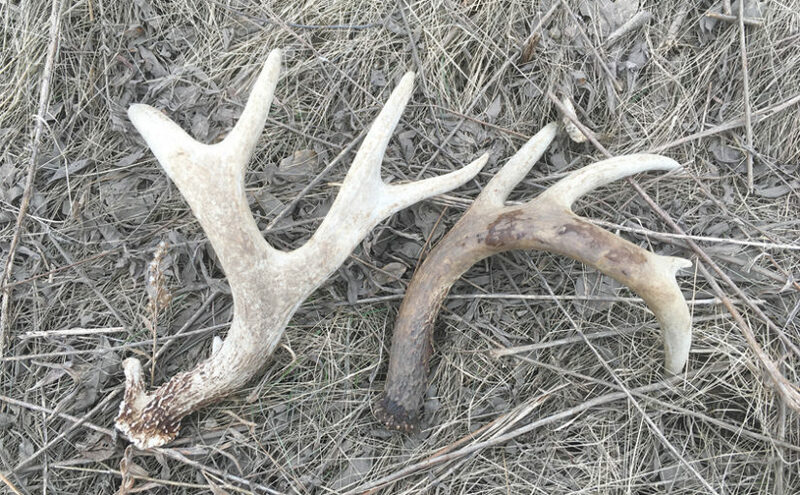 I only started shed hunting a few years ago and I love it. It gets you out in the spring and you learn a lot of great information for your fall hunting. It allows me to find new potential stand placement. Where the deer are bedding and allows me to add to my antler collection which someday I would like to have all of my sheds made into a chandelier that I can pass down to my kids. The one issue we had last fall was our mature deer seem to disappear around the end of August to early September. This had me worried that maybe one of the deer diseases had made its way to our property. One of my friends did have to call the game warden last year because he found a dead head underneath my stand so my reasons to worry had some merit. As I started to walk the deer trails and locate different bedding areas I was praying that I wouldn’t run into any dead heads. We had several nice 3 and 4 year old deer last year and we have been working so hard to keep our herd healthy with food plots and great bedding areas. Since we have been managing our deer herd for a few years, it seemed to be paying off with all of the trail cam pictures we were seeing in the spring and summer. Unfortunately, as fall approached we were not seeing those same deer. My walk continued near many of my stand locations as I changed cards in my cameras. After about 3 hours I hadn’t found a shed but I was still extremely happy that I didn’t find any deer that had passed away. As I moved through the last section of the hunting ground getting back close to the truck, I saw a nice looking bedding area. I decided I had to make one last attempt to see if there were any sheds in this new area. As I walked close to the open area of grass I looked down and there was a shed. It looked like it must have been last year’s shed but either way I wasn’t going home empty handed. As I reached to pull the antler from the ground I heard a loud snort and six deer jumped up in front of me. I about jumped out of my shoes! Of course, after seeing them jump up I knew I would be searching this area with a fine tooth comb. I walked around for 15 or so minutes and decided that I had covered the area as much as I could. So I set off to the other side of the bedding area, low and behold there was a fresh antler laying right in front of me. Sometimes you just have to find the right area and you will become successful. Now if its not so muddy in the next week or two I will try to get a little more exercise and add to my collection. We all know what April brings. Everything starts to come to life the grass becomes green, the trees begin to bud, the farmers are preparing for planting, the crappie will be spawning and one thing many of us wait for all year Morel Mushrooms. To say I love those tasty treats is an understatement. Since I was a young kid all I thought about was April 15th. That is usually around the time I find my first grey mushroom of the year. One thing about Morel hunting is that it will be different every year. I used to spend many hours just walking in the woods looking at every dead elm I could find. Not that I don’t still search most dead elms but I have learned the regular ones that I feel are most likely to have mushrooms. I have found Morels around dead elms that have no bark on them and are completely white, but the ones that I have found the most out of are the elms that have the bark starting to fall off or ready to fall off. There is a rusty brown like appearance to the tree instead of the dead white color they become after a couple of years. Usually when I find mushrooms around these types of trees I find several. They also seem to produce for a few years. I have a few areas that I have found mushrooms around for 15 years but most of these are in areas where there are a number of elms and they have died in a series. Two of my favorite areas other than just searching for dead elms is where there has been fire and logging. If you find an area that has been burnt, you will have a good chance of finding some Morels. The fires clean the canopy floor and the mushrooms love these conditions. I have had quite of bit of luck on logging trails. If you have access to some timber that has been logged you could be in for a real treat. I had an area when I was a kid that was logged and for the next 10 years, I found morels along those paths. The second year after it was logged, I pulled over 20 pounds out of a 80 – 100 acre piece of property. They were just everywhere along those paths. I had one area where they killed an elm along the path moving logs and for several years it looked like a field of mushrooms when I broke the crest of the hill. That was my money spot for may years. I would pull to 3 to 5 pounds out of that one little area every year. Unfortunately, that was my grandparents old place and I don’t have access to it anymore. I have always wondered if the mushrooming in that area is as good as it was 20 years ago. Maybe someday I will be lucky enough to visit that land. If not to mushroom hunt, just to reminisce about the quality time I was able to spend in those woods and mold me into the outdoorsman I am today. Good luck to everyone this Morel Mushroom hunting season. As soon as the soil temps hit 55 degrees, I will be in the woods trying to find those elusive little fungi. We all know if you have morel mushrooms you have to have crappie fillets. That is just how god meant it to be. There is nothing better than a fresh caught crappie and some morel mushrooms. It is by far my favorite meal. I am sure the only reason is the morel season is so short and challenging. I have tried to freeze them, and I just don’t think they have the same flavor after freezing. So, when I get mushrooms the next thing on my list is to find some crappie. I love fishing for crappie in the spring. If you can find them schooled up before the spawn it can be so much fun. Its time to start thinking about getting those boats out of storage and don’t do what I did… make sure you charge your batteries before you drive and hour and a half to go fishing. Yes that happened and yes there was a good reason my dad used to call me the Master of Disaster. As the temperature warms up please don’t forget to get the kids out in the great outdoors. There is so many great opportunities out there for you to experience with your kids. It doesn’t have to be fishing or hunting. There are many great state parks out there for you to hike, camp and explorer. Enjoy the beauty of spring this month. May your sunrises and sunsets be magical!